I bought the original GT Zaskar back in the 90’s. 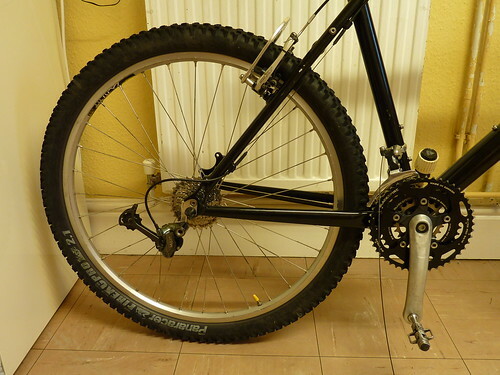 It has had two major overhauls since then, the first back at the start of the decade when new wheels and forks were purchased, and then this time last year when I replaced most of the drive train ready for it’s commuting duties this year. While it makes a great commuting bike I’d like to be able to use it for trail riding. The main problem being the lack of disc brakes on the backend. So when I saw a Black Zaskar frame on ebay with disc mounts I bid and won it back in October. 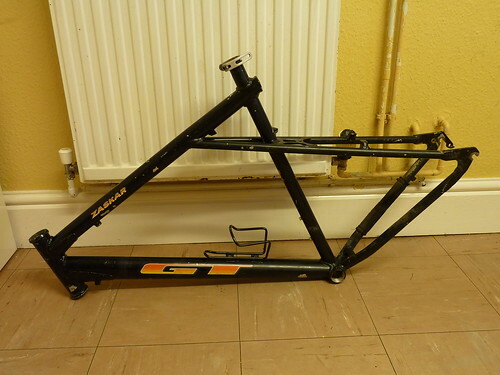 The frame was recently resprayed at the Argos so looks very tidy. With the bike in use 2 or 3 times a week, I thought it best to wait for the holidays before swapping all the components over. I started at the front end, without the tools to remove the headset, I was pleased to get a new headset with the reconditioned frame. I did hit an issue with the forks and was unable to remove the bottom of the old headset which is making the forks ride a little high. I’m not too concerned at this stage as I’ll be on the look out for some lighter forks. I also had to get creative with the front derailleur gear cable, with some cobbled together XTR cast offs which should keep things shifting smoothly for a while. I’m keeping the v-brakes going for a little while longer. 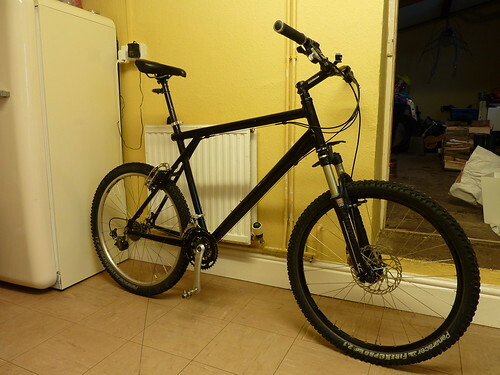 I just want to get the bike working again before making the purchase decision on which light weight wheels and hydraulic disk brakes to go for. The bottom bracket proved to be problematic. The width has changed from 73mm to 68mm between the two frames. An online order has been made and I’m waiting on delivery. Something I hadn’t expected. So I can get things finished off I’ve just screwed in one side of the longer bracket for now. 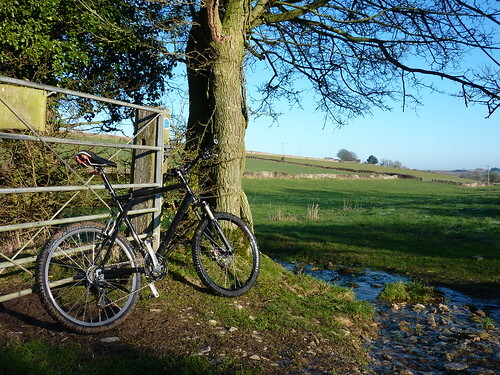 With a slightly dodgy looking bottom bracket, I finished off the rest of the bike and took it for a spin round the local bridleways. No complaints so far. Next I’ll need to purchase a new back wheel and hydraulic disk brakes. Avid are looking the favourite so far. Juicy or Elixir either look good. Would it be possible to get a copy of the image of rider 382 that you took at Bristol Bike Fest this weekend gone?